Has it really been four years since Friday Night Lights ended? 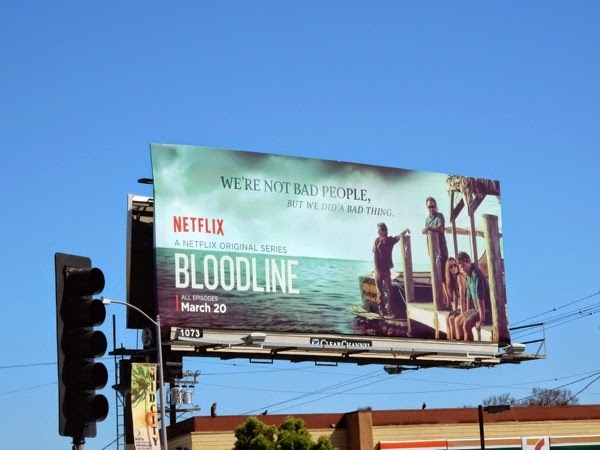 For all those still mourning the disappearance of Kyle Chandler from our TV screens, it's time to rejoice, as Netflix's moody thriller Bloodline brings the actor back to the small screen. 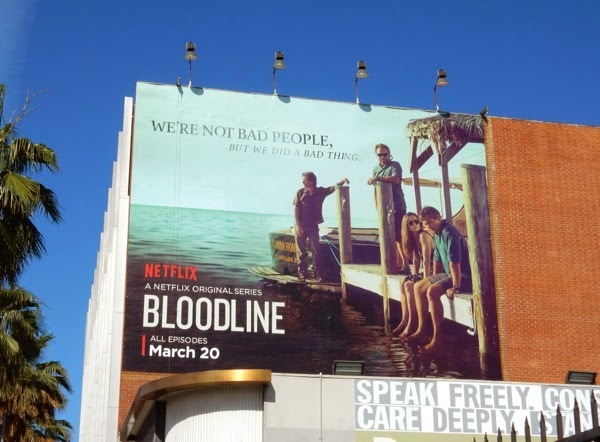 Of course, this family drama is an ensemble series and shines the spotlight on the whole 'Rayburn' clan, who run a hotel in the Florida Keys (where he is the local sheriff and golden child amidst the obligatory family's dark secrets and scars). Sissy Spacek and Sam Shepard are the parents to Chandler, Linda Cardellini and Norbert Leo Butz, whilst Ben Mendelsohn plays the troublesome black sheep of the family. 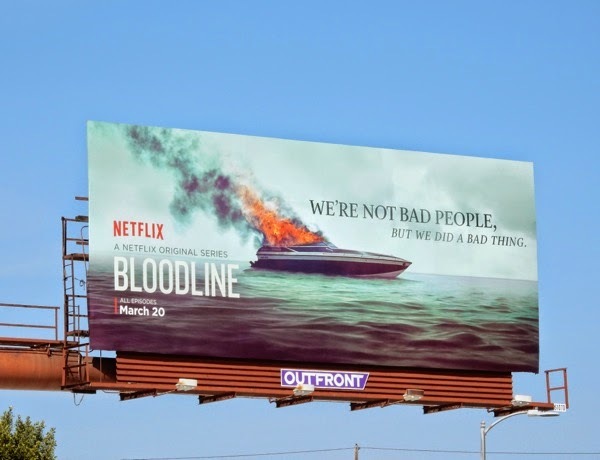 This collection of family who are not bad people, but did a bad thing, have already ellicted a second season, so obviously they are interesting enough to warrant another thirteen or so episodes. 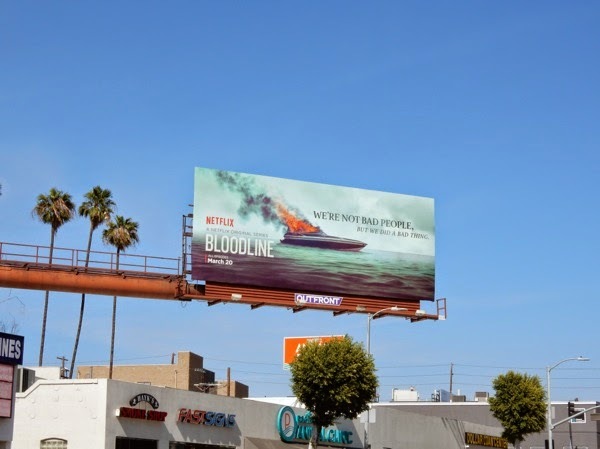 The 'dock' ad creative was first spotted along Pico Boulevard at La Brea Avenue on March 25 and later along Sunset Boulevard and Wilshire Boulevard, whilst the striking 'burning boat' version was snapped along Santa Monica Boulevard in West L.A. on April 2, 2015. 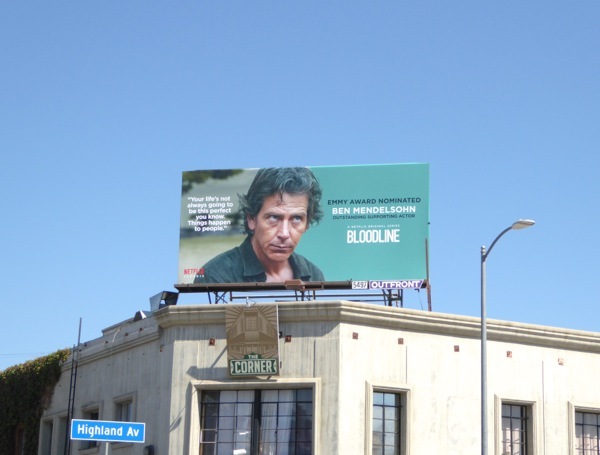 Daily Billboard loves the green tinged colour design of this Bloodline ad campaign which really sets it apart from the other outdoor ads lining the city skyline at the moment. 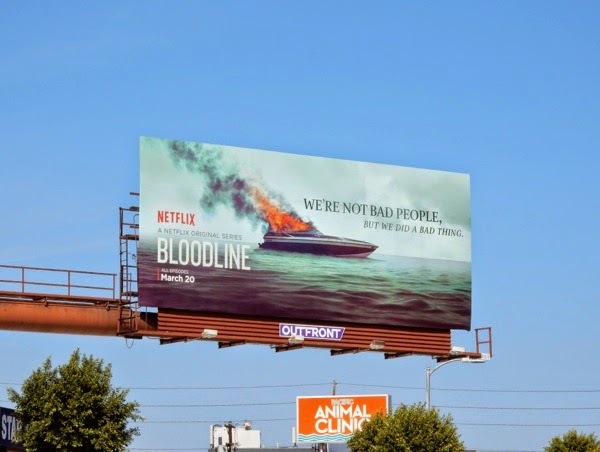 If you're a fan of the binge-tastic Netflix streaming service, be sure to also enjoy all these Netflix series billboards from recent times. 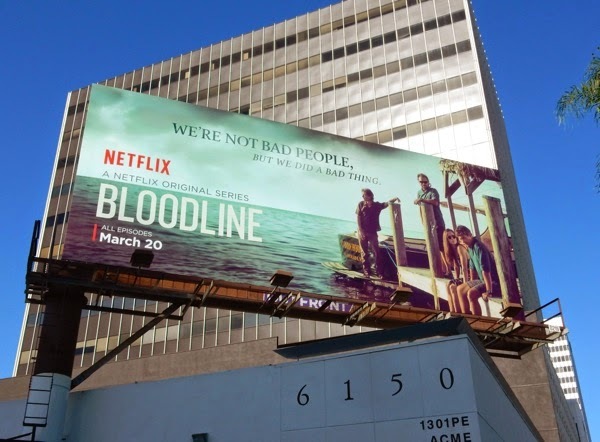 UPDATED: Bloodline may have been a slow burn, but it was certainly a gripping story. 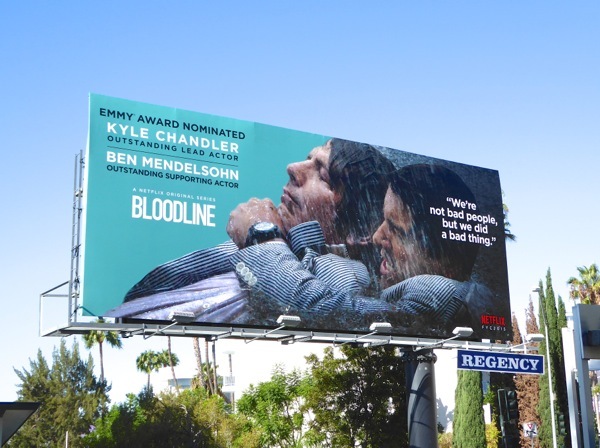 Obviously TV Academy voters agreed as it received two Emmy nominations, one apiece for troubled siblings Kyle Chandler and Ben Mendelsohn. 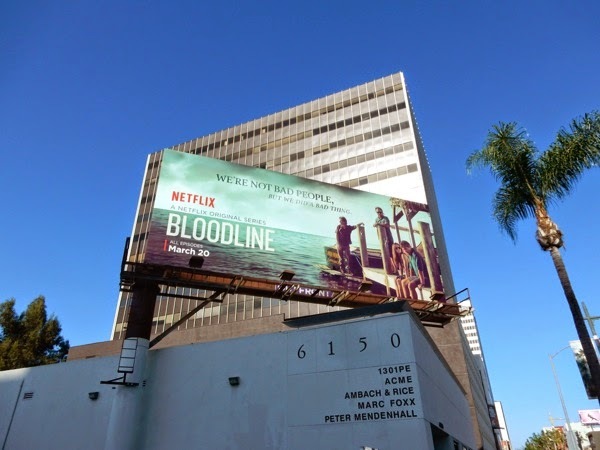 These Emmy Award nomination billboards were snapped along Sunset Strip on August 14, 2015 and above Highland Avenue the next day.